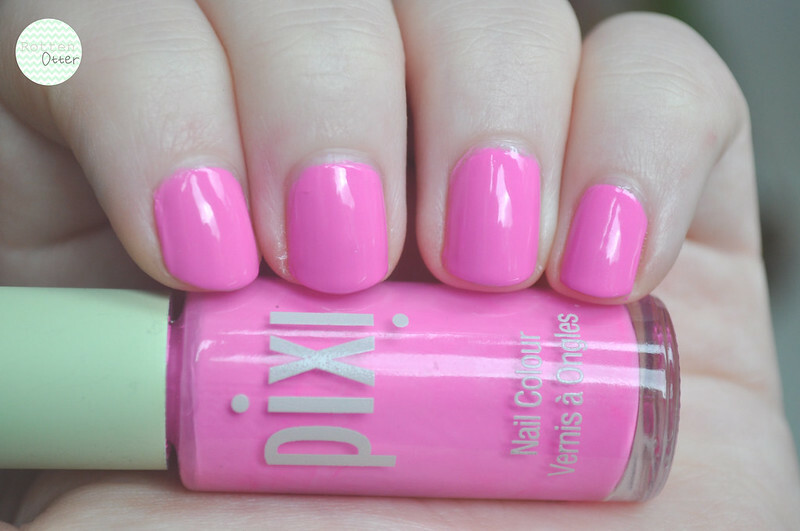 Unfortunately I can't find this nail polish from Pixi online so I'm not sure if it's still available. I bought mine in an ASOS sale a long time ago. I bought it in the hopes it would be a good dupe for Eyeko Punk Polish which is now discontinued. It isn't at all like Punk but still a nice polish. It's a neon so it dries matte but I prefer to add a top coat to make it glossy as well as to last longer. Two coats is needed but the second didn't apply to well. Nothing a thick layer of top coat couldn't hide though. That is SUCH a good shade of candy pink!!! Can u tell me which 50mm lens u use for the pictures?